Since they contain simple sugars, they provide instant energy. 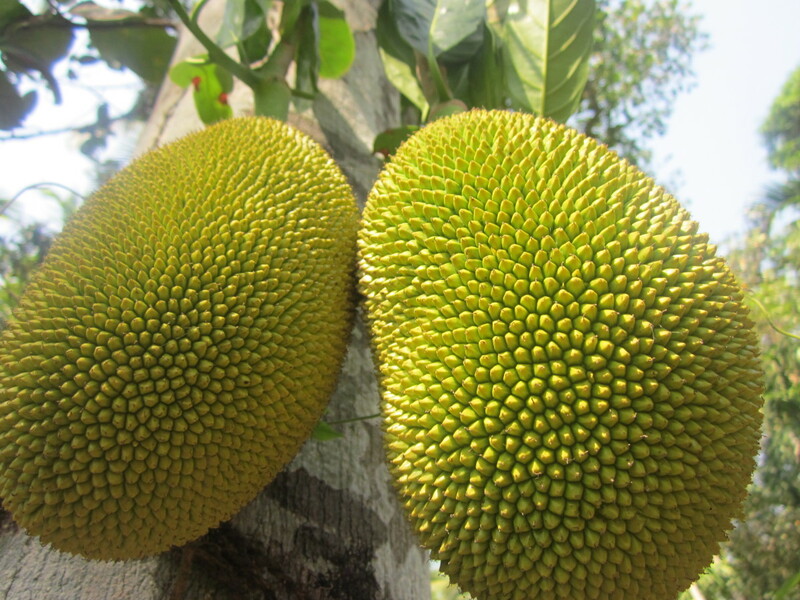 They are rich in dietary fiber and tannins. 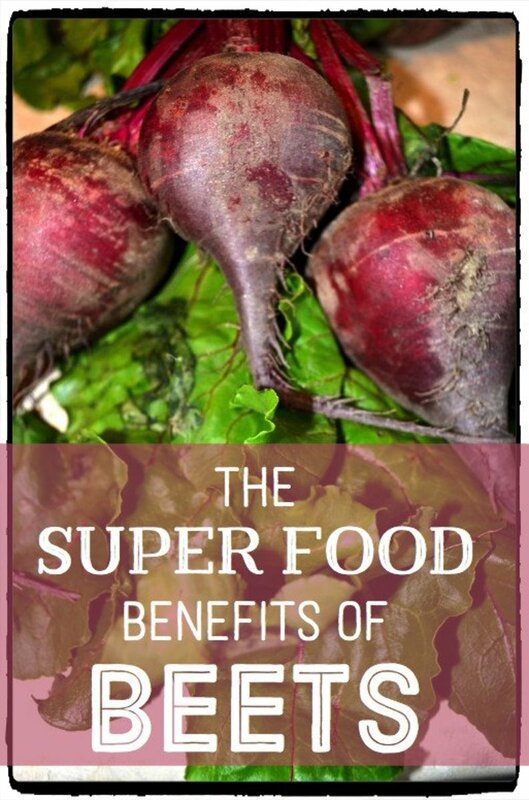 They contain antioxidants beta carotene, lutein, and zeaxanthin. 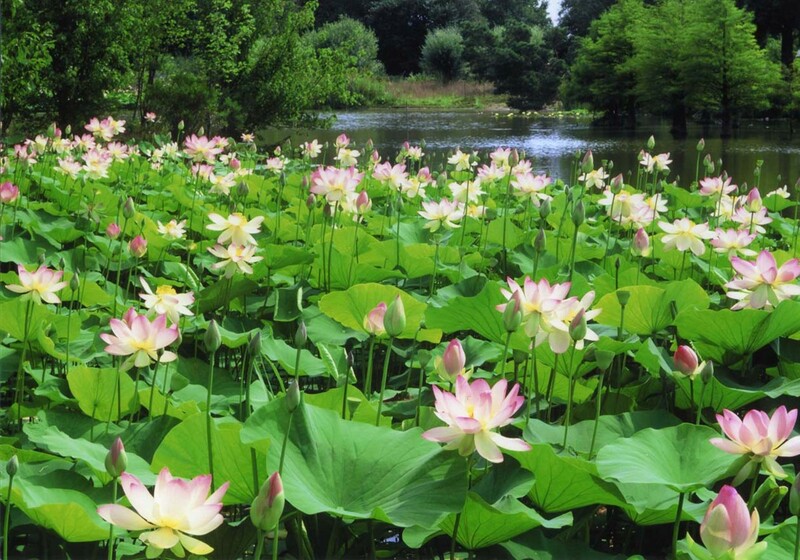 They are an excellent source of sulphur, phosphorus, iron, potassium, calcium, manganese, copper, and magnesium. 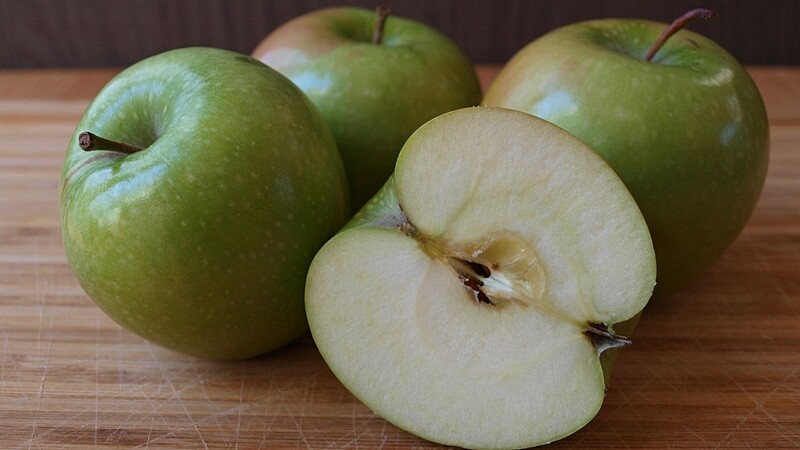 They have decent amounts of Bcomplex vitamins and Vitamin K.
• Laxative properties due to fiber content. Eat three dates and drink hot water morning and night. If dates are hard, boil in milk. Fructose, not glucose, in dates is easily broken down and metabolized without insulin. Soak dates overnight in water two or three times a week. In the morning, blend and eat. High fiber content and polyphenols. Nutrient-packed, dates prevents hunger between meals. Two thirds of a dates' weight is natural sugar. A single date has 23 calories and 5 to 6 dates equal one serving of fruit. Dates are fat-free, cholesterol- and sodium-free. The American Cancer Society recommends eating 20 to 35 grams of fiber daily. 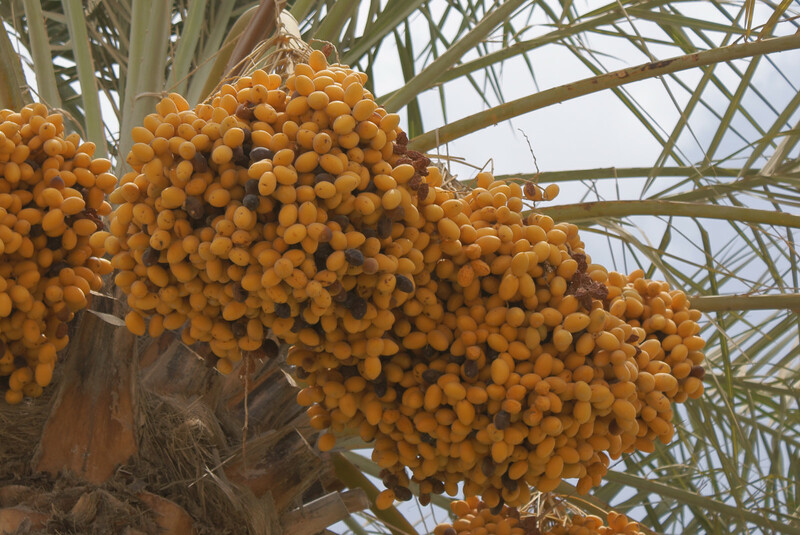 Research suggests that dates supply fiber, as they are dense in nutrients and polyphenols as well. It is believed that consuming one date everyday maintains eye health for life and also prevents night-blindness. Dates can help reduce alcohol intoxication. Just drink water in which dates have been soaking for few hours. Dates work as an aphrodisiac. Soak 8 to 10 dates in goat milk at night. Next morning blend them together in the milk. Add a tsp honey and a pinch of cardamom powder and drink. Dates are believed to alleviate depression and also to enrich breast milk. Dates are useful for pregnant women as well as they may strengthen the uterine walls. They aid in easy delivery and reduce bleeding, too. A paste made of honey and dates is useful in controlling diarrhea and dysentery in children. Dates counter body weakness. Eating seven dates will provide about 70 mg calcium, 35 mg phosphorus and 7 mg iron. Two dates given to children at night will prevent bed-wetting. In old people who have frequent urges of urinating, eating two dates daily or one date at night with milk will reduce this frequency. For a voice that has gone hoarse, eat one date that has been boiled in milk and then drink the milk. Do this at bedtime. Ensure that you do not drink water for two hours after this. It makes the voice clear. Dates are useful in relieving respiratory distress. 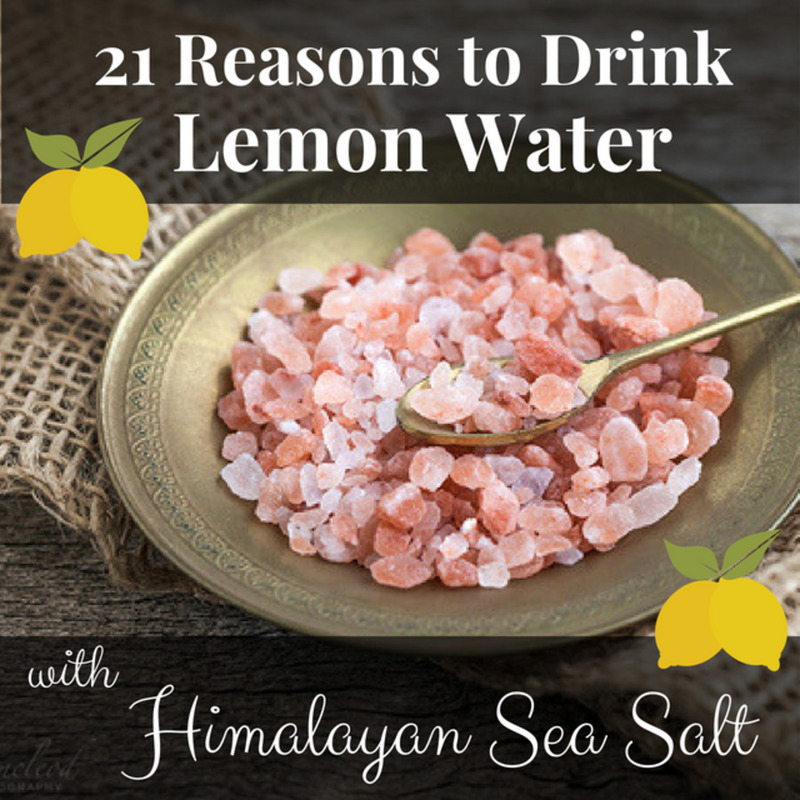 As they are hot in nature they bring out phlegm and are beneficial to the chest and lungs. Boil two to three dates in milk until they are soft. Eat the dates and drink the milk. Dates and milk help to increase weight. Soak two dates in milk. blend when soft. Drink this milk to increase weight and strength. The seeds of dates cure styes. Grind the seed of one date with water and apply on the affected spot two to three times daily. For headache relied, grind one date seed with water and apply it on the forehead for relief. Taking two dates everyday is beneficial in breaking kidney stone as well as relieving one of backache as well. The entire date tree is very useful. All its parts are used in some form or the other. 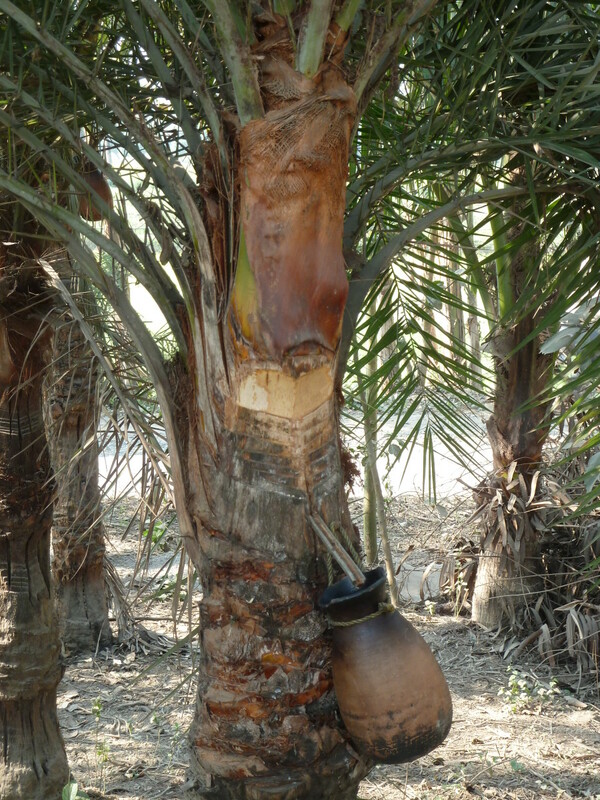 The date palm is tapped for palm wine, jaggery and palm syrup. The young leaves are cooked as a vegetable. The flowers are also edible. Finely ground seeds are used to make bread by mixing it with flour. 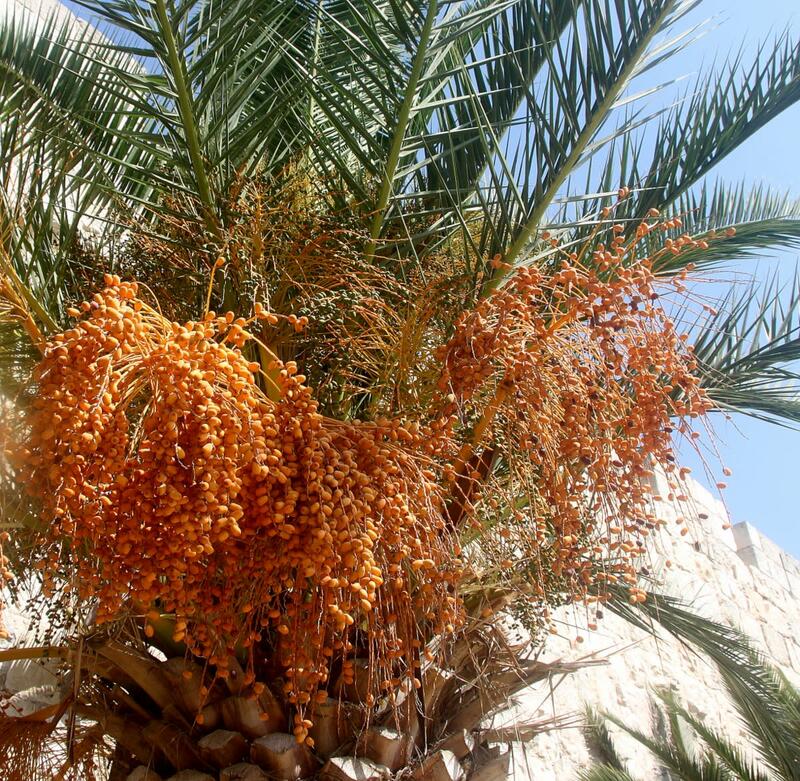 Date seeds are also used as animal feed. The leaves find use in making huts, mats, baskets, fans etc. 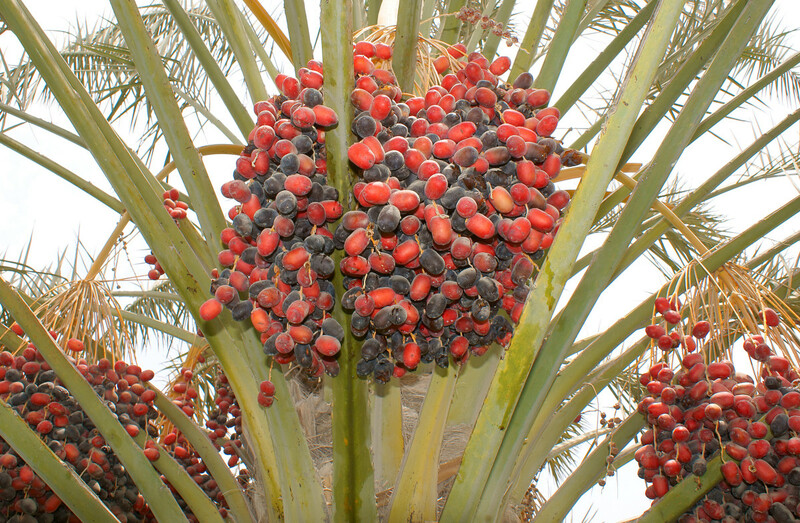 Date seed oil is used in soaps and cosmetics. The leaf sheaths are used for making ropes, rough cloth, hats etc. The fruit stalk is used as fuel. Dates may be consumed as they are or stuffed with almonds, walnuts, cream cheese, and lemon peel. They can also be chopped and added to a variety of dishes. Date nut bread is a popular type of cake. Dates are also processed into spreads, syrups, paste, cubes, powder, vinegar, chutneys etc. The recipe for date and walnut cake and tamarind dates chutney can be checked out in the recipe videos included in the article. The information provided here is not a substitute for professional medical advice. Please consult your physician or health care provider before taking any home remedies or supplements or starting a new health regime. 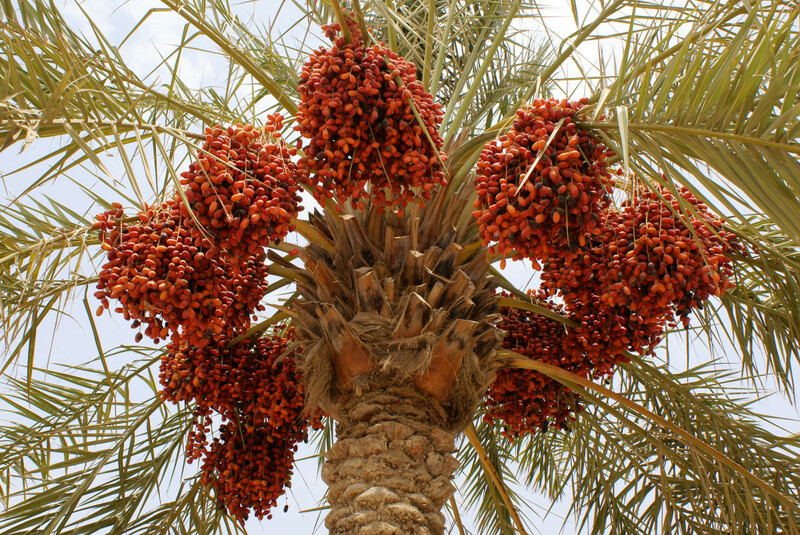 what is difference in between chuharey and dates with benefits comparison. 5 months ago from From Mumbai, presently in Jalandhar,INDIA. Glad you found the information useful jagwinderpal singh. Dates are wonderful for health. Its useful in many disease go for dates everyday.. I love dates but they're just too sweet. I love the stuffed ones especially when the stuffing balances sweetness well. Dates are a staple for me. I eat 20 or 30 a day in smoothies or on their own. Great sweet snack. GTF, thanks and I'll check out your hub now. Take care! Hi rajan - just wanted to let you know my hub has been posted with links to this one and many of your other fruit ones. Have a great day. I never knew dates had so many benefits. Great hub! I'm sure you can use dates more frequently for better vision. Appreciate the read, votes, the 5 stars and share. Thanks. I had no idea dates were good for healthy eyes and improving night vision, for treating diarrhea and constipation, and especially interesting is that they stop bed wetting in children and alleviate depression, and on and on it goes! Dates are simply amazing. I'm going to see if they help my night vision. I've always had bad night vision even in my 20s. Excellent hub and information. Voted AUI, gave you 5 stars, and will share! Thanks Sasha. It's always a pleasure to see you. @ vespawoolf - dates do taste different dried from fresh. I'm glad you appreciate all the goodness in dates. Wish they were more easily available in Peru but maybe the dried variety could be more readily available! Thanks for visiting. @ Marlene - glad you like the information. Thanks for stopping by. @ GTF - Nice to know you are fond of dates. appreciate your visit. @ Sueswan - dates are as nutritious dried as fresh. Maybe you could give the dried ones a try if you do not like the fresh stuff. Thanks for visiting, voting and sharing. I love date squares but a long time ago I tried raw dates and didn't like them. After reading all their health benefits, I think I will give them a try again. Dates are the best thing! There is not much better than a fresh date. I had no idea the leaves could be used to make so many things. Thanks for providing some recipes. The only reason I ever ate dates was to help cure constipation. Wow! I didn't know dates were so versatile with so much value. I think I'll start eating more dates. Wow, dates really are a super food! I'm surprised they help with urinary incontinence and that diabetics can assimilate them. I think they make a great natural sweetener and wish we had easier access to them in Peru. It's interesting that in Indian the word used for fresh dates is different than that used for the dried. They are like a different fruit! @ shining - thanks for the compliments and enjoy dates! Happy holidays! @ sweetie - I remember drinking neera too; you know it was sold at the railway stations some years back. @ Patricia - Glad you found this informative and thanks for dropping by. I love dates in many ways. Eating them just as a date is grand. 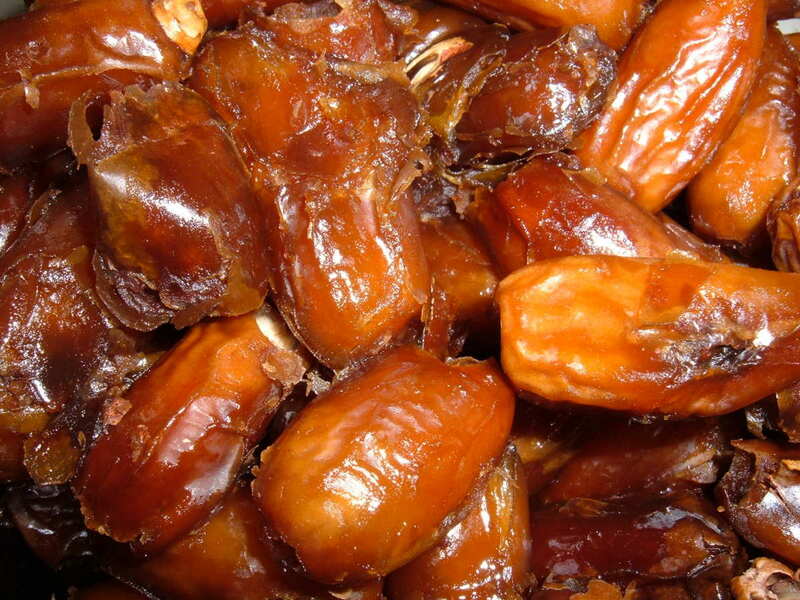 I had no idea there were so many other date parts that could be eaten. And I certainly did not know of all of the healthful properties. Thank you for sharing. We used to go to Mount Abu when we were kids and there on the banks of Lake there , there were countless trees of dates. We would just throw stones and get the dates. Also I like to drink Neera, the dates water. Rajan - I so enjoy knowing when you explain the benefits of a food item I absolutely love. Dates are one of my favorites and I use them when back Holiday treats. 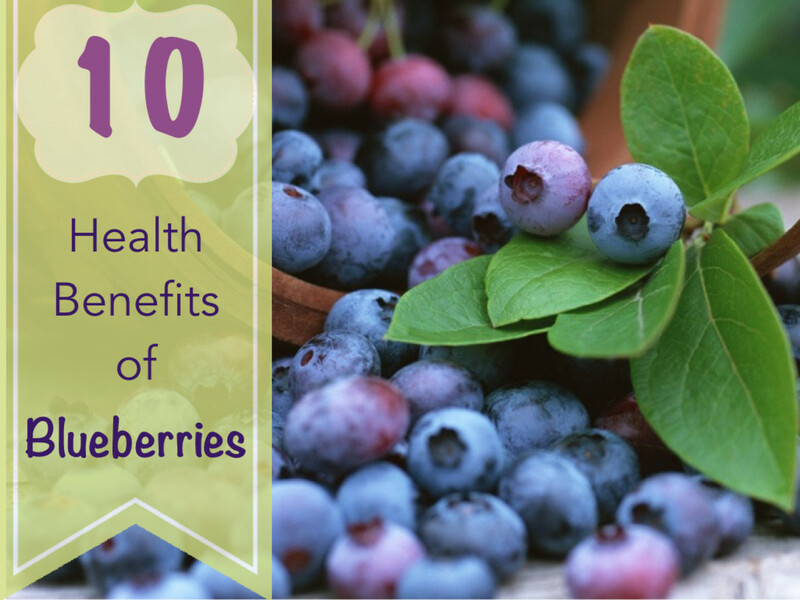 They are a great alternative to an unhealthy sweet treat as well. @ Rasma - Thanks for the visit and sharing. @ Mike -Glad you now use dates regularly and thanks for finding it useful enough to bookmark and share. Appreciate the thoughtfulness, bro. You have a great day and happy holidays. I love eating dates, and had no clue of all the health benefits to them all, as my wife introduced me to eating them, and they are so sweet tasting and yummy too. We use dates in recipes for juicing as a natural sweetener and with nuts as well to make vegan bars. So yup dates are good to us indeed, thanks Rajan for this useful hub here, I will also share as well as bookmark it for research purposes if need be in the future. Thumbs up and out bro happy holidays. Voted up and interesting. Thank for this informative hub on dates. I love them but don't eat them as much as I should. Passing this on. @ Devika - thanks and I do hope you start consuming this healthy food more often. Glad to see you. @ Peggy - I'll be checking this hub of yours, Peggy. Nice to know you use dates frequently. Thanks for reading and sharing the hub. @ Kris - I agree tastes do change as we grow up and maybe this time with the added info you will find dates more agreeable. Always a pleasure to see you and thanks for dropping by. I've been thinking I should try dates again. I had them once or twice as a child and did not like them but my tastes have changed and as you've shown, there are so many options now for incorporating dates in recipes. Thanks for a great article! This gets another 5 stars from me. I knew of some of the health benefits but certainly not all of them that you listed. We eat quite a bit of dried fruit but have generally used dates when baking. My date nut bar recipe looks a lot like the photo in that first video. It is an old family favorite recipe and I have even written a hub about it. The stuffed dates look good. Will have to consider using more dates in our diet. Up votes and sharing. 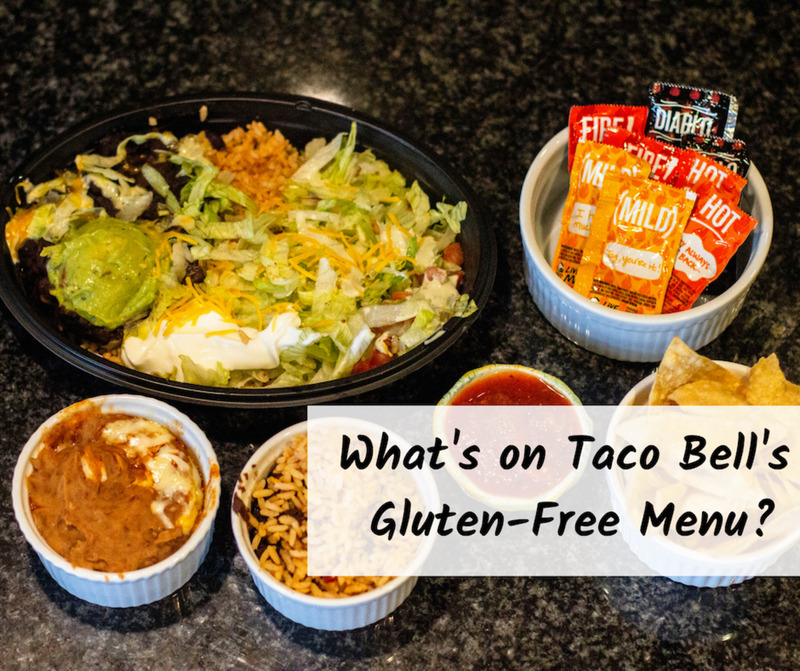 @ Carol - We all have our favorite foods and the ones we do not relish but there are enough options to go around. I wish a date with dates may turn things around. Lol! Thanks for reading and sharing though. @ Sandra - thanks for giving the hub a read and sharing it. @ Aurelio - Well, a date with dates is not a bad idea after all. It sure will be healthy for the body. appreciate the comments, vote and visit. @ Bill - Hi, its always a pleasure to have your comments my friend. There are enough of good healthy foods to partake so this one can be overlooked. You too have a nice day and a great weekend as well. @ Dana - 1 0r 2 dates a day are all that is required to get all its benefits. So glad you do so. Thanks for visiting and commenting. @ tlmsgaa - Thanks for stopping by and sharing it. @ Louisa - thanks for visiting. I'm convinced! I'll eat more of them, along with figs, another favorite fruit. Thanks! WOW! I love dates. I usually eat one or two instead of having candy or other sweets. I also am an a high fiber diet and they fit in perfectly.... 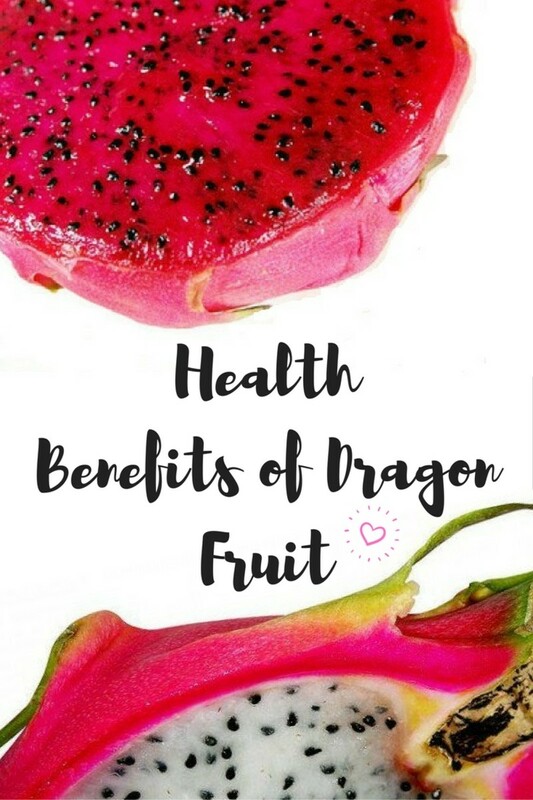 I am so glad to know about all these other health benefits. It is also exciting ot see the many ways to enjoy dates. I never thought of cooking them or stuffing them. WHAT A GREAT ARTICLE! Rajan my friend, I can't even look at a date without getting sick to my stomach. I'm sorry, but I may not be able to follow your suggestions this time. Great information, and your research is detailed as always, but my stomach just won't put up with this one. :) Great job, Rajan, and enjoy your weekend. And I thought you were going to talk about the health benefits of dating! Just kidding, Rajan. Excellent hub as usual and I do enjoy the candied dates, although presumably turning them into a sweet probably removes many of the benefits you mention. I'm going to try the constipation aid that you suggested. Voting this Up and Useful. Another one of my favorites. Voted up and shared. I never knew there were so many nutrients in dates. It has never been one of my favorites, however so many healthful ingredients..Does going on a date work the same? HAHA. Anyway a great job as always so I feel I must share and vote UP.